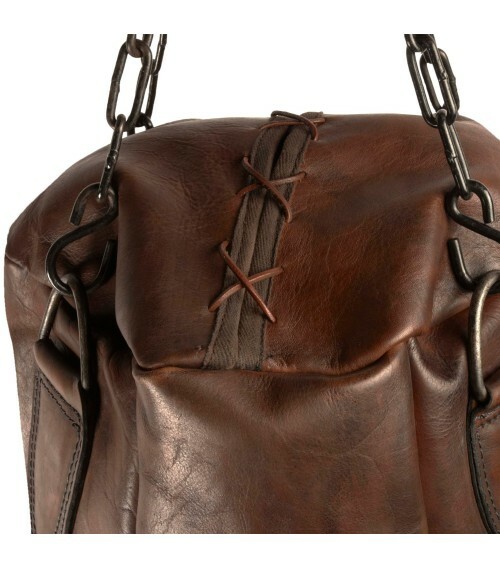 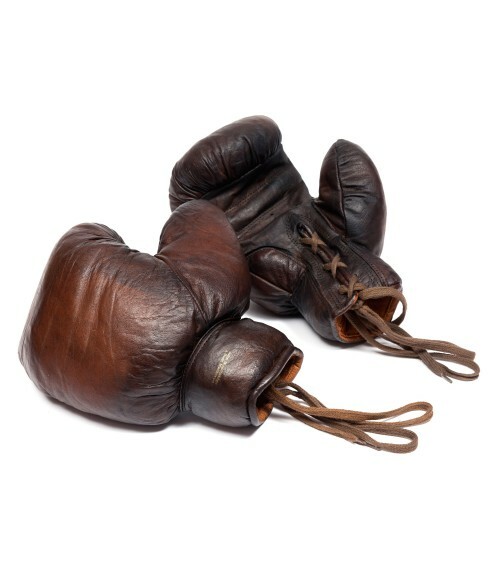 Our vintage leather boxing goods are inspired by those of the early 20th century. 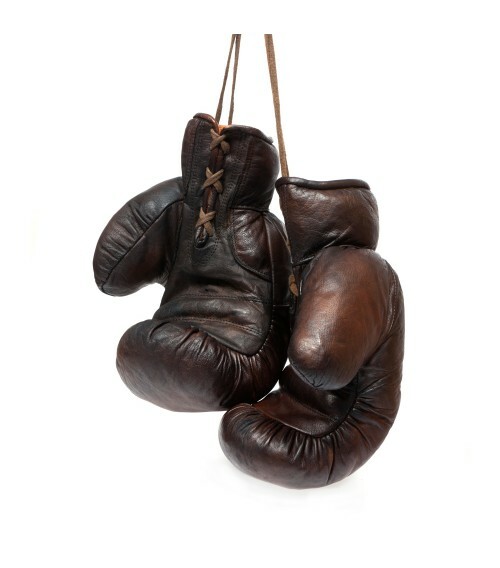 Boxing gloves, punching bag and speed bag will bring an authentic hint of elegance to your gym! 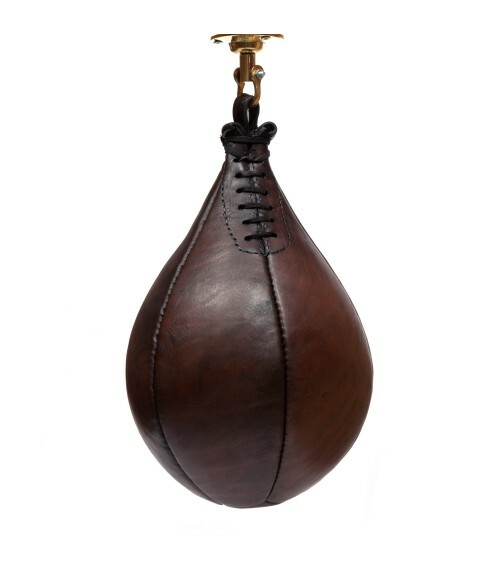 John Woodbridge punching bag inspired by a 1920s model. 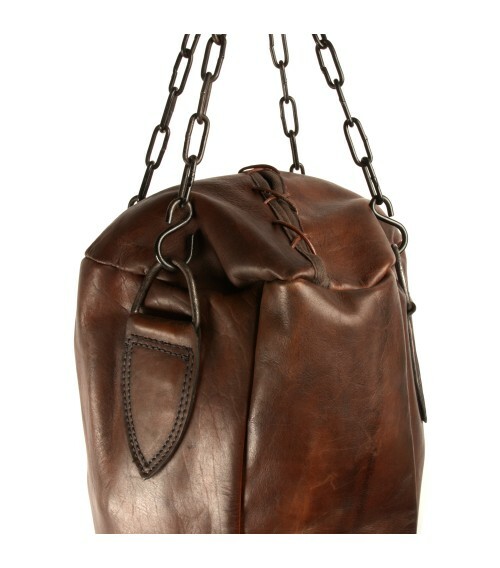 Handmade using traditional methods and crafted from carefully selected leather, it will add a hint of old-school elegance to your gym ! 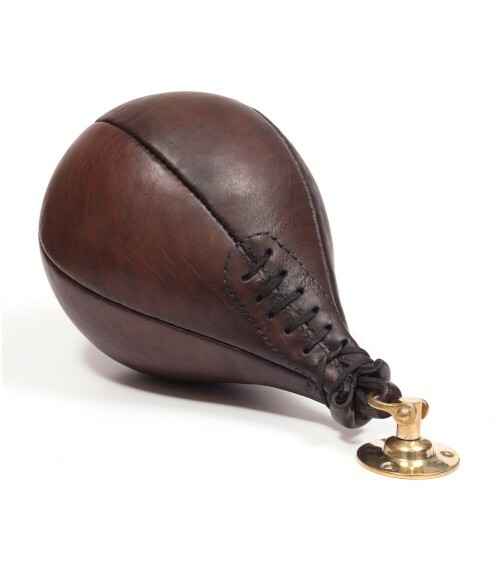 This leather speed bag is handmade with 6 leather pannels and equipped with a brass fastening systel to practice boxing training. 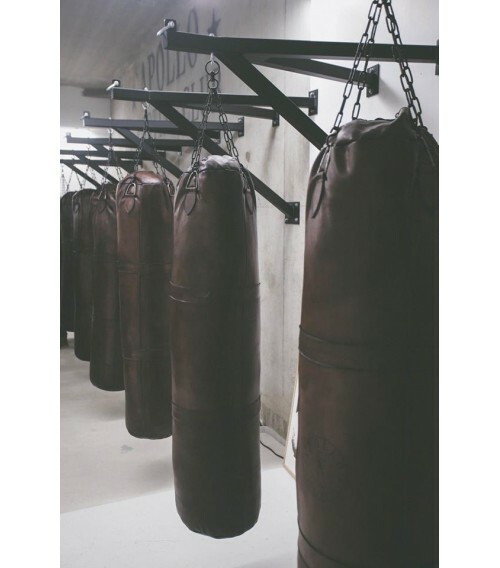 Retro boxing vibes guaranteed in an elegant and stylish decoration for your gym ! 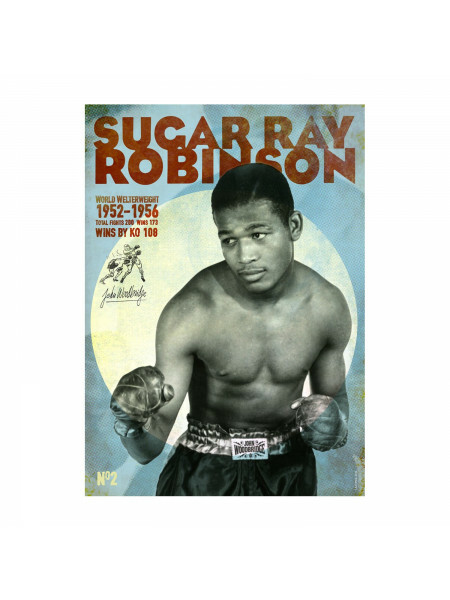 A 70 x 50 cm silkscreened in Paris paying tribute to Ray Sugar Robinson, legendary boxer victorious by more than a hundred of professionals K.O. 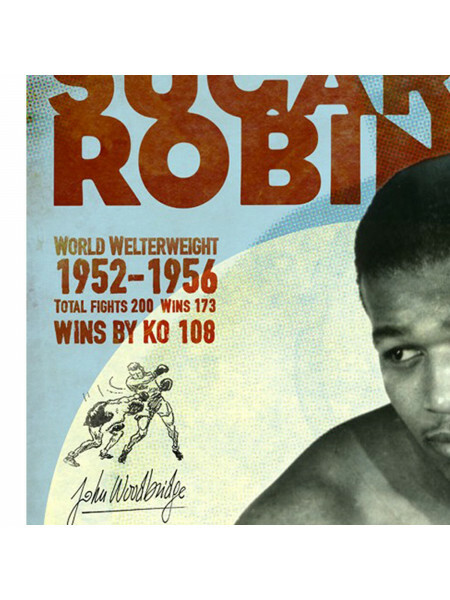 in the 1950s and 1960s. 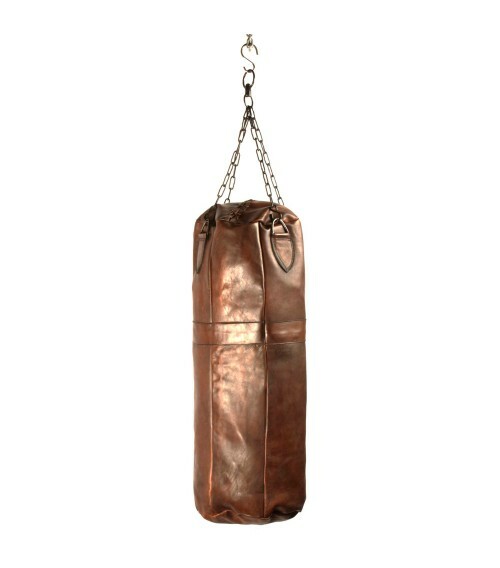 Adapted to kickboxing, muay thai, full-contact or Savate French boxing, the 1.50m John Woodbridge Makers punching bag is inspired by a 1920s original and handcrafted in thick and durable quality leather.